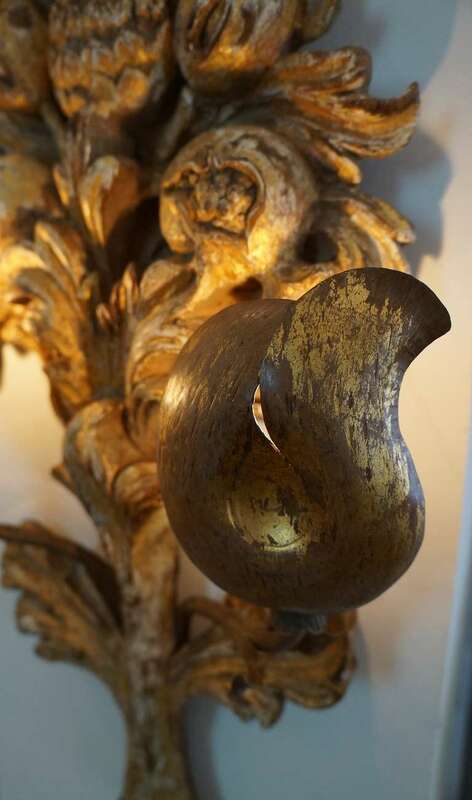 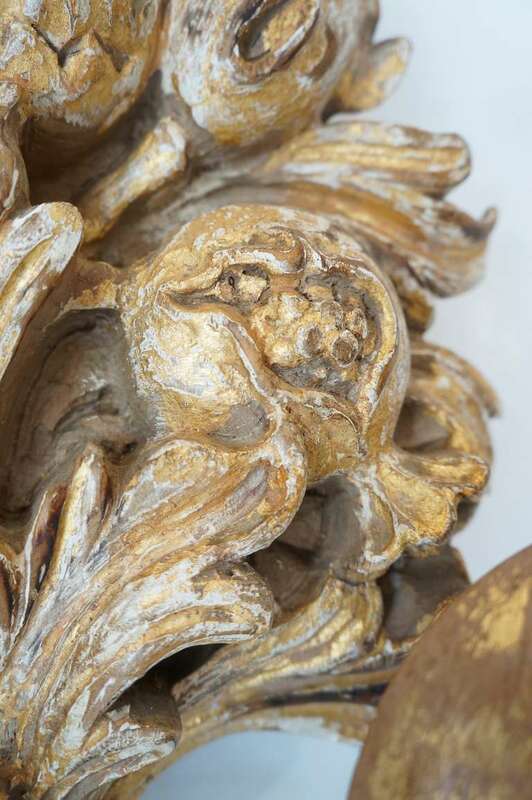 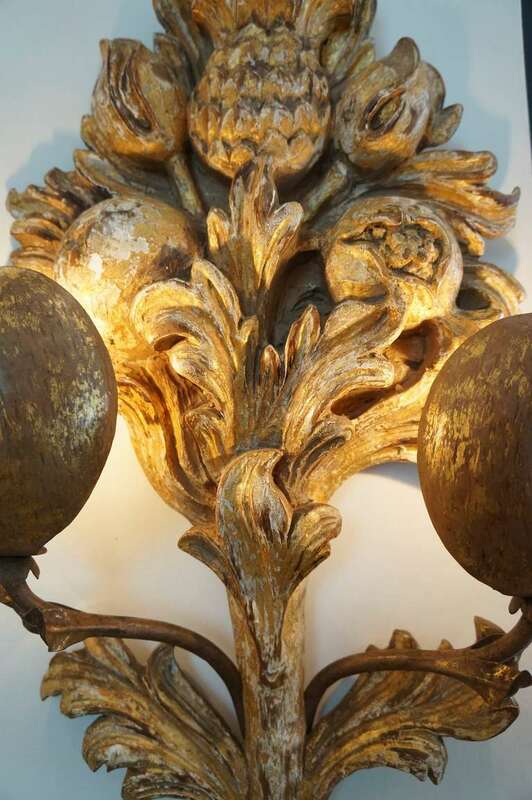 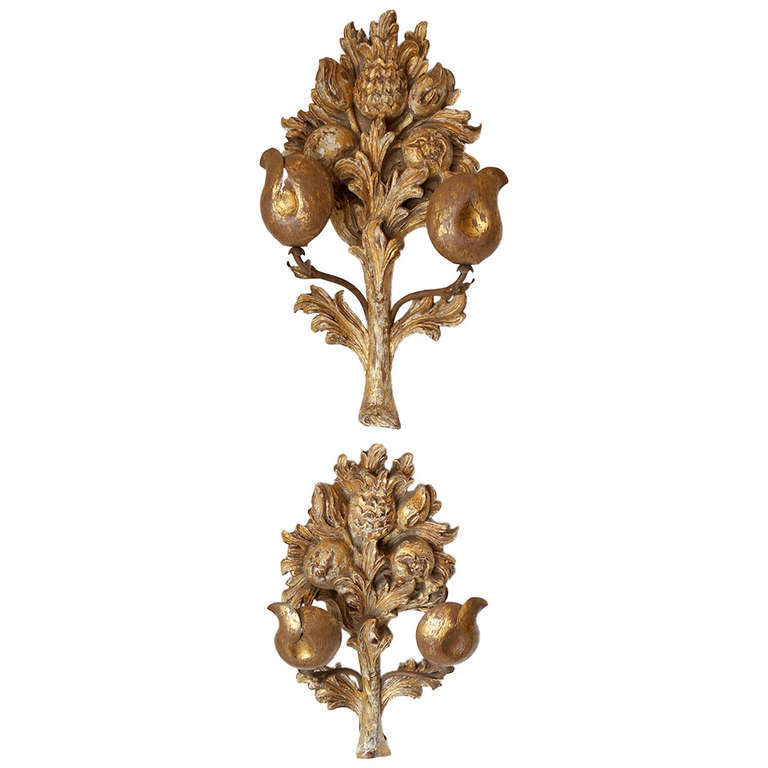 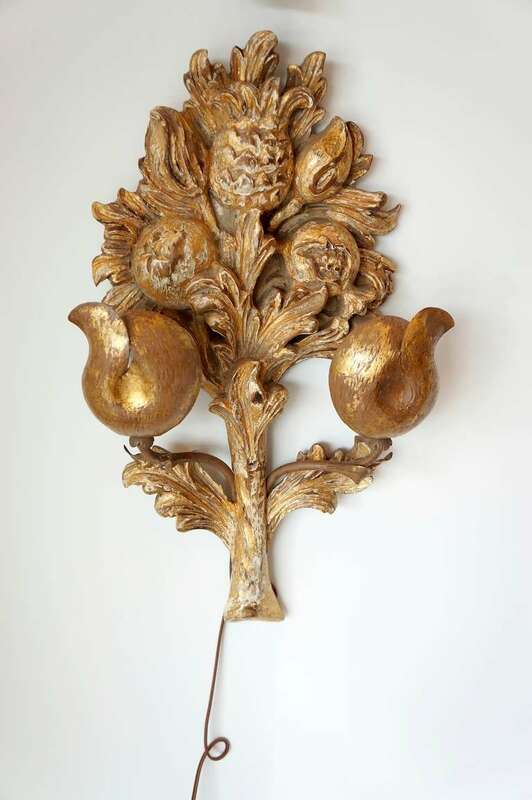 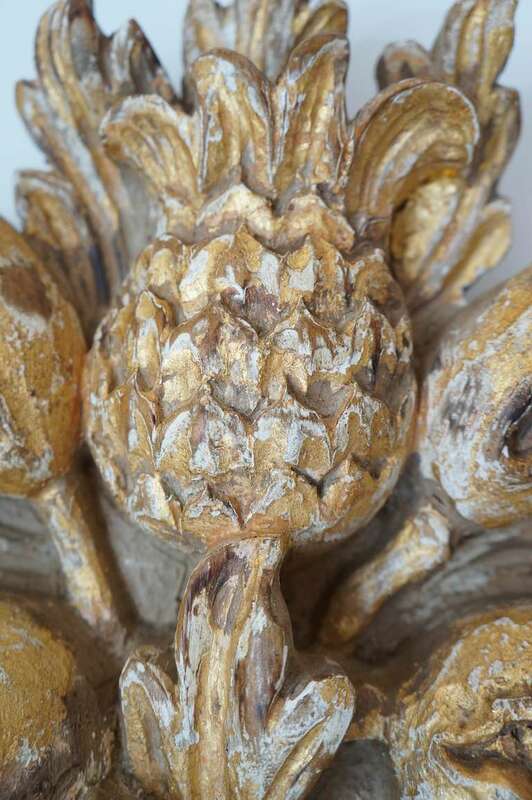 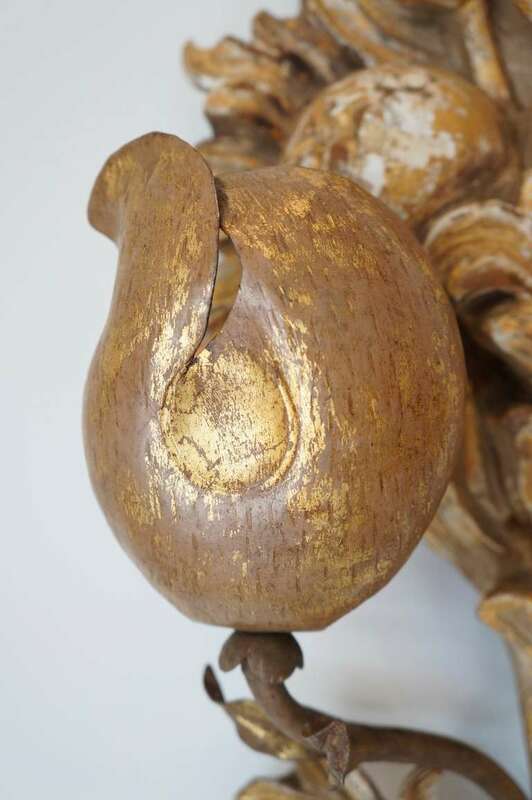 A pair of Italian intricately hand carved and gilded wall lights. 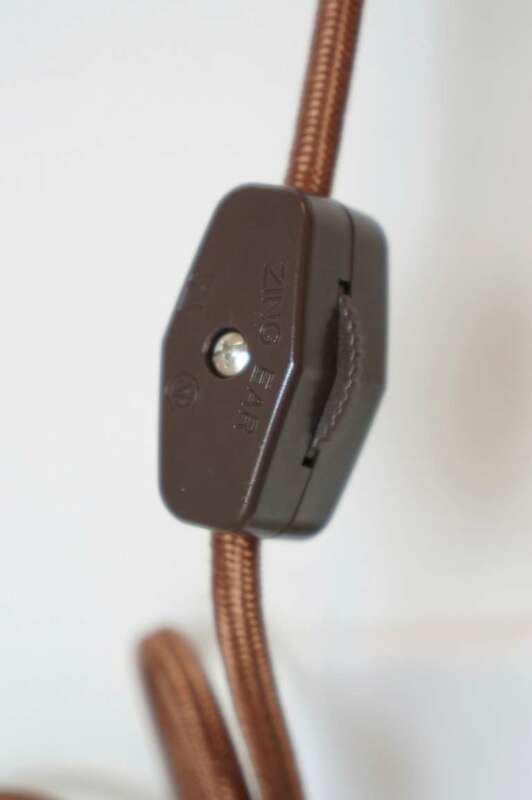 Newly wired with brown silk flat cord and a single pole switch. 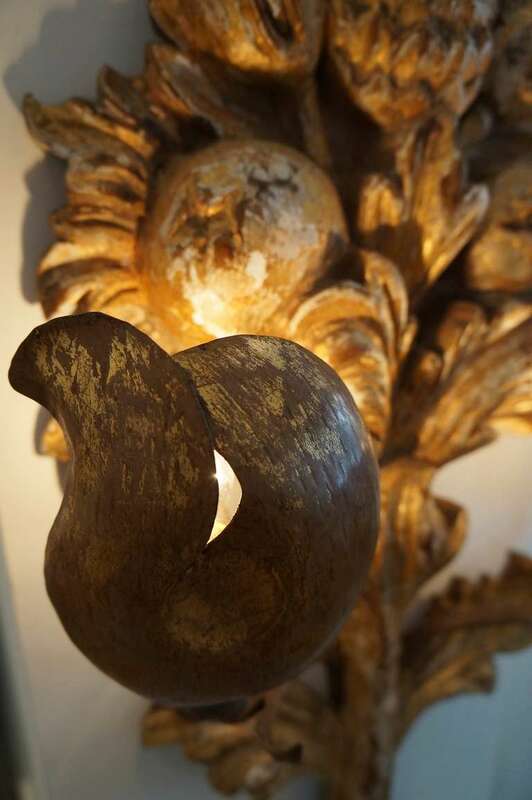 Orange peel formed diffusers back light the carved fruit forms. 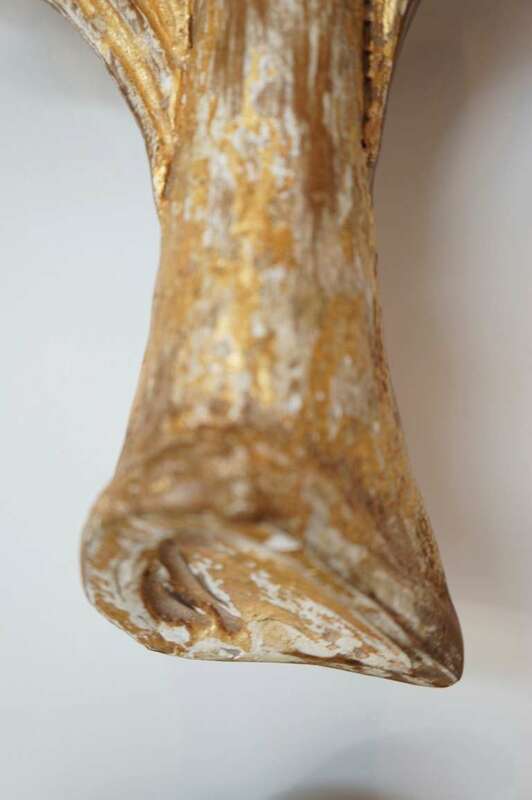 Dimensions: H 24" x W 13.5" x D 4.5"